The Vintage Lingerie Sew-Along is half done! 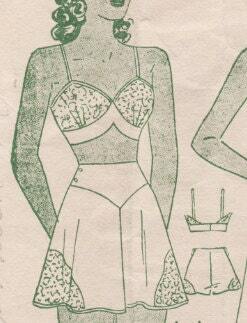 Hello all, a few weeks ago I posted that I would be starting a vintage lingerie sew-along over on my blog A Few Threads Loose using this vintage pattern reproduction PDF. 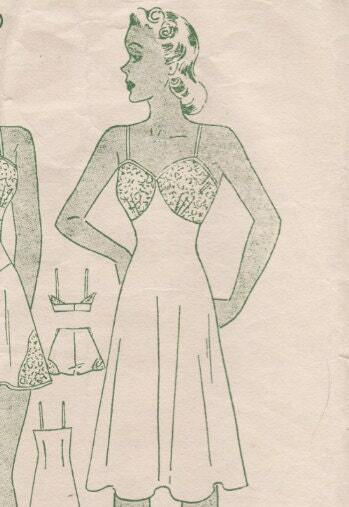 We have finished with the bra and tap pants and we’ll soon be starting on the matching slip and camisole. You’re all still welcome to join and give lingerie a try! 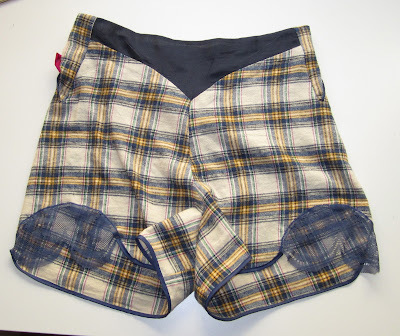 This being my first sew along, and with a vintage pattern that had a couple of small design flaws, it was an interesting go round… plus I totally bombed matching my plaids due to a fabric shortage and a vodka overabundance. You can see more photos at A Few Threads Loose! I’m doing the upcoming sew-along and I’m excited! I am really love what you have done. It’s so charming! I love this set! You did a great job.